When it comes to endorsing or electing candidates for office, or legislation being proposed, opposed or passed, you want the very best consultants and legislative advocates for their expertise. Peter Mitchell, a native Californian, is the son of Greek immigrants and proud to be an American. Mitchell is a bi-partisan, political analyst of California Politics for over 17 years. In January of 2002, he was honored to form P.M. Consulting, Inc. P.M. Consulting, Inc. is a political/public affairs firm specializing in: Independent Expenditures; comprehensive non-partisan analysis on State and Federal Elections; Fundraising; Organization/Public Speaking; Political Campaign Consulting; Polling/Research, Strategy and Management; and other services. His clients include some of the largest and most successful Business, Public Safety, Trade Association, Non-Profit, Union, Corporate and other entities in California and America. Mitchell works at P.M. Consulting, Inc. offices in Brea, Santa Ana, Los Angeles, Sacramento and Washington, D.C. to represent his clients’ interests with excellent service, bi-partisan and timely information and integrity. Shane Lavigne is a Legilative Advocate for Capitol Advocacy. Prior to joining Capitol Advocacy, Shane was a Legislative Advocate for a boutique lobbying firm in Sacramento. 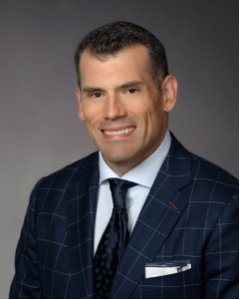 While at the firm, Shane was responsible for clients in the insurance, healthcare and financial services areas. Specifically, Shane worked with workers compensation carriers and professional sports teams to reform California’s workers compensation system. Shane also represented national payroll companies and successfully exempted them from California’s statutory framework. Lastly, Shane worked on a number of bills impacting Covered California, California’s healthcare exchange. In the Capitol, Shane was the Legislative Director for State Senator, now Congressman Juan Vargas (D-San Diego). Shane’s legislative and policy experience encompassed issues relating to banking, insurance, local transportation, and the judiciary. Additionally, Shane staffed Senator Vargas during all Senate floor sessions, an assignment that required meeting with the relevant stakeholders and making recommendations to the Senator on all legislation that reached the floor. Before working in the California State Capitol, Shane owned a consulting business providing fundraising and campaign services to a number of Democratic candidates and current elected officials, including members of the California State Assembly and Senate. His campaign work over the years has spanned every level from City Council to President of the United States. Shane began his career working on Capitol Hill in Washington D.C. for then United States Senator Hillary Clinton. Shane graduated from Syracuse University with a Bachelor’s Degree in Political Philosophy, where he was also a member of the 1998 Big East Championship football team. He earned his Juris Doctorate from Thomas M. Cooley Law School in Lansing, Michigan. 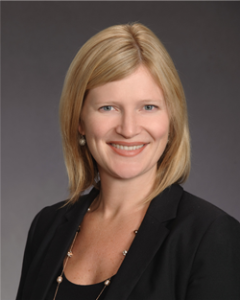 With more than 10 years experience representing business interests before the Legislature and Administration in Sacramento, Kate Bell has a successful track record of providing sound strategic advice to a wide array of clients with business interests across California. Her extensive knowledge of government relations and legislative advocacy at the state and local level helps Capitol Advocacy clients identify contracting opportunities and achieve strategic goals in the business, information technology, health and education sectors. Prior to joining Capitol Advocacy, Kate represented an assortment of clients as a lobbyist at another well-regarded Sacramento-based lobbying firm. She also previously served as Chief Operating Officer at the California Business Properties Association, where she helped represent the commercial, industrial and retail real estate industries in Sacramento’s growing communities. Kate holds degrees in physiology and Spanish from the University of California, Santa Barbara, where she graduated with honors, and a Masters in Business Management, with an emphasis in public policy from California State University, Sacramento. She resides in West Sacramento with her husband, Joshua and their daughter Zoie and son, Ryker. 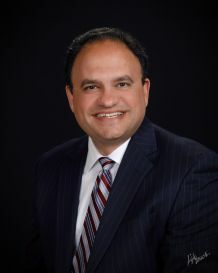 Ivan Altamura served as Chief of Staff to two Assembly Republican Leaders in the California Legislature for nearly a decade. His extensive public policy and political experience enables Ivan to expertly navigate clients through the legislative and regulatory process on a wide spectrum of issues. 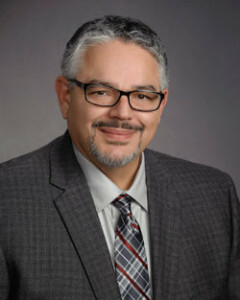 In the Assembly, Ivan was responsible for providing strategic advice, steering Caucus policy positions, leading Republican political efforts through four campaign cycles, and providing tactical counsel to Assembly Republican Leaders Connie Conway (R-Tulare) and Mike Villines (R-Fresno), as well as Caucus Members. In this role, Ivan was also responsible for direct interaction and collaboration with numerous stakeholders and interest groups to find and build consensus on a broad range of policy matters. In the Legislature, Ivan established and solidified his strong working relationships with elected government officials, lobbyists and interest groups solving complex and difficult policy issues. Following his time in the Legislature, Ivan was the Director of Engagement for Pacific Gas & Electric (PG&E). There, he worked on a statewide gas transmission pipeline safety project and managed local, state and federal government relations, customer communications, outreach planning and strategic project implementation in support of the right of way reclamation program. In addition, Ivan was campaign manager for Mike Villines for Insurance Commissioner 2010, where he coordinated day-to-day campaign operations. Prior to his government relations and political career, Ivan was in private practice as an attorney for 10 years, focusing on business, estate, civil and real estate law. Born and raised in the heart of Central California, Ivan graduated from Fresno State University with a Bachelor’s Degree in Criminology and earned his Juris Doctorate from San Joaquin College of Law in Fresno, California. Ivan now lives in Wilton, CA with his wife Alisa and their two children, Nikolas and Marina.